Giverny is a small French village in Upper Normandy, best known as the rural retreat of the Impressionist painter Claude Monet (1840-1926). Kick off your visit on the 25th (Mon): admire the masterpieces at Musee des impressionnismes, make a trip to Fondation Claude Monet, contemplate the long history of Chateau Gaillard, then admire the striking features of Le Vieux Moulin de Vernon, and finally pause for some serene contemplation at Eglise Sainte-Radegonde de Giverny. 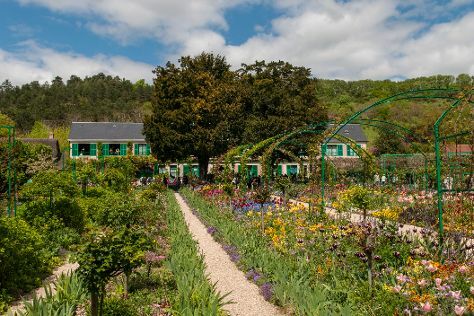 For where to stay, more things to do, photos, and tourist information, refer to the Giverny road trip app . In March, daily temperatures in Giverny can reach 13°C, while at night they dip to 2°C. Finish your sightseeing early on the 25th (Mon) to allow enough time to travel back home.